Coyote Ridge, home to the Home Builders Association HomeShowExpo and your next home! 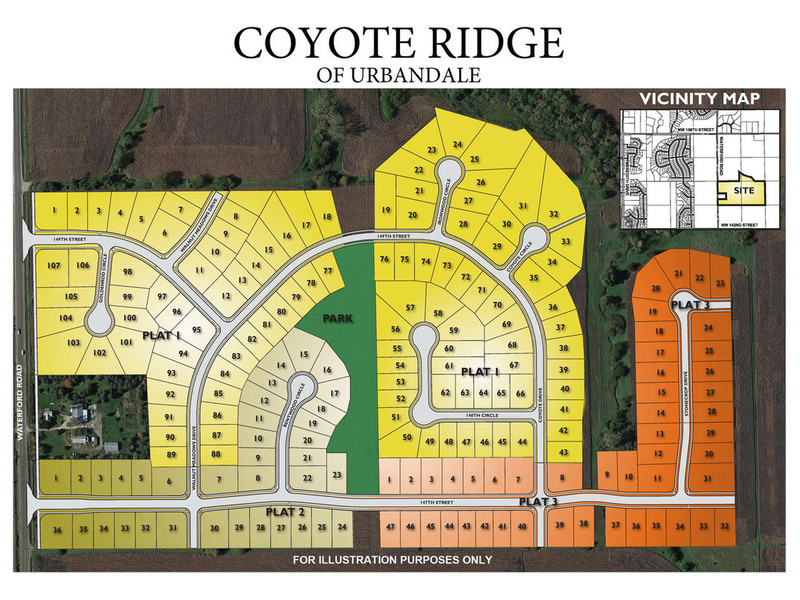 This Urbandale development offers walkout, daylight, and flat lots with a range of 0.232-0.637 Acres. Located in Waukee School District and easy access to Highway 141 and I35/80. Bring your own builder or use ours!